My doctor said that my vitamin D level was low so he said to take 50,000 IU's of vitamin D weekly except that I misunderstood and took 50,000 IU's daily for 8 weeks. When my doctor found out, he ordered a Vitamin D toxcity test and my level is over 140 is all they would tell me but said that it was very high and to come back in 6 weeks for blood work. I have A-Fib and I was reading the side effects of Vitamin D overdose and noticed that it can affect the heart? Is there any way to get the Vitamin D out of my body? calcium and to come back in 6 weeks for blood work. Comments for How do I get rid of Vitamin D overdose? It's unlikely that you've overdosed. Please read my page on Normal Vitamin D Levels and you'll see that it's just slightly above the high end and would be considered 'excessive' but not toxic- unless you have a high calcium level. So, you NEED to have a calcium level done to diagnose toxicity. It your calcium level is normal or low, you do NOT have toxicity. As far as Vitamin D 'affecting the heart' it generally affects the heart in a GOOD way over the long term. But please read my page on Magnesium and Vitamin D since magnesium deficiency can affect heart rhythm and be causing your other symptoms as well. In fact, please read my page on Atrial Fibrillation Cause and you'll see that your heart problems could be due to magnesium deficiency all along! Thank you for the question on 50,000 iu overdose. 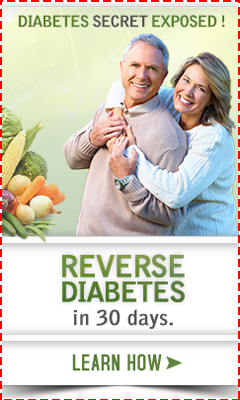 I took four capsules in four days, not realizing it was meant once a week! I panicked thinking I had to run to emergency. I felt so foolish. I'm so thankful that someone dared ask the question. Thank God for this website that provided my answer! God bless you both. 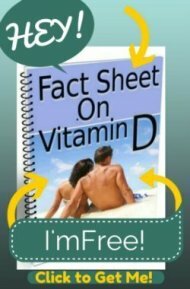 Mistake take high vitamin D daily instead of weekly! I did the same mistake taking vitamin D 50,000 for 7days in a row instead of weekly . The doctor that prescribed for me after I broke my wrist told me to take Vitamin D and vitamin C but never told me that vitamin D it was only once a week . I take full responsibility for not reading properly it was my mistake to assume that vitamins are usually taken ever day I am hoping this is not a mistake overdose . Thanks for the articles it was very helpful. Same thimng happened to me. I think the Dr should have clarified taking it once a WEEK! As that is how most medicines r taken. I've had a ose of appetite, itching and NAD runs of papitations for s few days and just realized now that I've been taking it wrong!